It was Mrs. Beeton’s birthday yesterday. It was also my Father’s. A lawyer by training–just like Matthew Crawley–Dad’s heart belongs to fishing. His favorite ball cap reads “Born to Fish, Forced to Work”. Since we have been spending a great of time on scones and sweets lately, I thought today would be a great time to share a colourful savoury item and our family tradition. Bottom level holds the savouries and finger sandwiches. 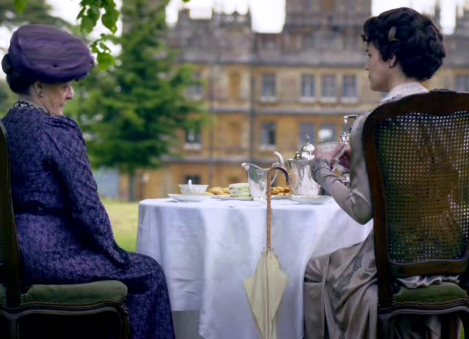 Is Downton Effect Spilling over into your Workplace? You meet the most interesting tweeple online. I recently came upon an interesting tweet with a picture of a teacup. When I commented on it, I was surprised to discover that I had inspired the office afternoon tea ritual where the photo had been taken. When I commented on that, other tweeple strated chirping about their office tea rituals. Since we don’t normally have the luxury of taking time off in the afternoon outside of work, I wonder if we might consider the social and networking benefits of the tea ritual in our offices. That is, if you haven’t already. As for myself, I always had my kettle, loose teas, biscuits and teapot on the go in my office, always ready to share tea and confidences throughout the day. This is a fun little clip which has been circulating recently which I thought you might enjoy. You may know it as the Fresh Prince of Downton Abbey, but Highclere rhymes with Bel Air…so there. There is a pinwheel in it so fits nicely with our recipe today. Enjoy. As I mentioned at the outset, yesterday was my Dad’s birthday and he loves to fish. Like Lady Mary, I am the eldest sibbling in our family and very much a Daddy’s girl. He is my hero and I was lucky enough to marry a man who has the same great qualities. Dad made me the “Fisher Girl” I am today. Each summer I join him and my two brothers on an annual pilgrimage to the far northern coast of beautiful British Columbia to fish for Spring (King) Salmon on the Ocean. 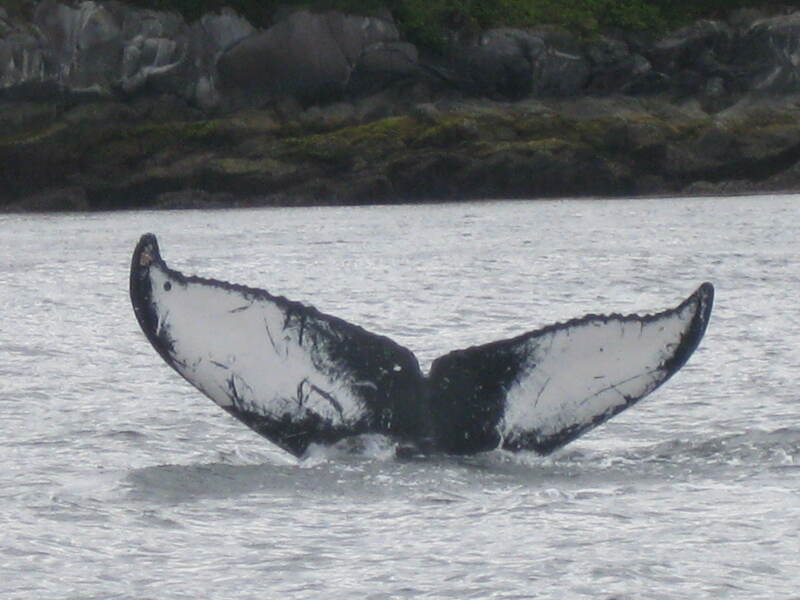 It is always an amazing experience: it is often cold and wet, but even if we don’t catch fish there are always eagles, seals and whales to be seen. Here is a video of my Dad catching a 26 pound Spring Salmon at our last trip. We were experiencing 4 foot swells that morning, so it was helpful to have my brother’s support on the slippery back deck. I was smart and was inside filming. Happy Birthday, Dad. I hope you land more big ones again this year. 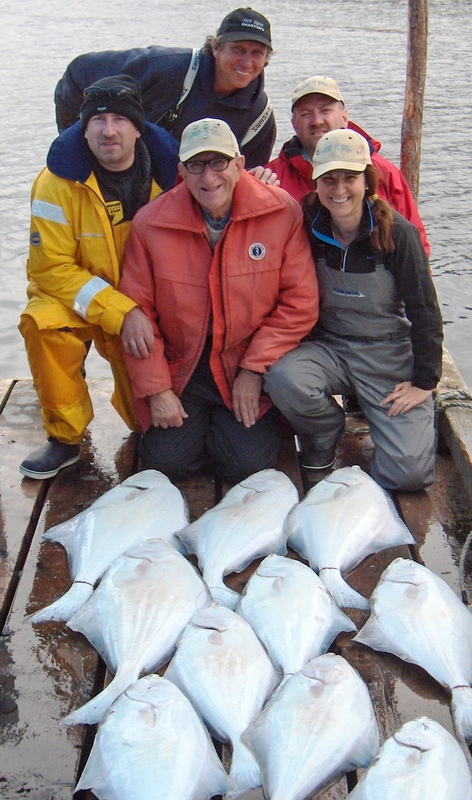 Mrs. Beeton would be proud of our ability to catch what we eat: we come home with enough wild salmon and halibut to share with family and friends. 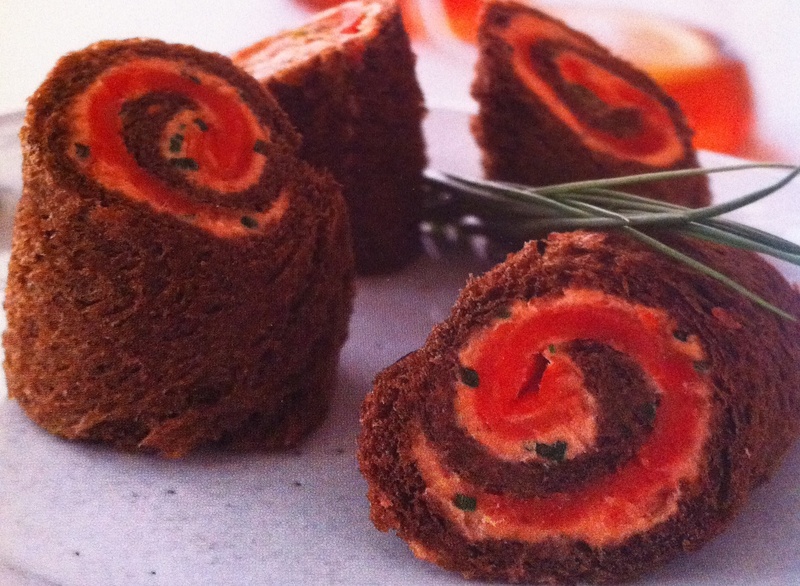 We smoke some of the salmon and I often serve these smoked salmon pinwheels as a party appetizer when I entertain, proudly proclaiming that I caught it myself. While you may not be able to catch your own fish to use in this recipe, you should buy wild salmon. It is a lovely colorful dish to serve at tea or your next Downton Abbey viewing party. This recipe comes from Tea & Crumpets, my current favorite tea book. This version is based on the whiskey-spiked mousse served at the Ritz London, using horseradish instead of the alcohol to give it the kick. I also make a version with vodka and dill. You are only limited by your imagination. Put the cream cheese, butter, chives, horseradish, salmon, lemon juice and pepper in a food processor and process for 20 to 30 seconds or until smooth. Stir in the capers, if using. (Cover and refrigerate for up to 2 days to let the flavours blend, bring to room temperature before spreading). Roll the bread slices flat with a rolling pin. Spread the salmon mousse on one side of each slice and arrange pieces of smoked salmon on top. Roll up and place seam side down on a serving plate. Cover with a damp tea towel or paper towels until ready to serve. The pinwheels present very well by cutting each one crosswise on the diagonal, presenting angled side up. I have a Tea Room in my home to which I invite friends to share in the lovely tradition of High Tea. How lovely and gracious of you. Everybody, let’s head over to MCatherine’s home in Oregon! My husband and I nearly bought a heritage Bed & Breakfast as we both love making breakfast, but it wasn’t in God’s plans for us at the time. Thanks for stopping by to share, and best wishes with the hideaheart project.